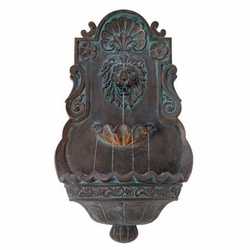 Made of lightweight cast resin and finished in bronze, this fountain features a lion's head and a light, so you can use it in or out during the night or day. Water cascades from the mouth of a lion's head in this bronze finish fountain. Two tiers add drama to the water's graceful descent. Scalloped edges allow the water trickle over the sides. A halogen bulb placed within the basin of the fountain creates a moving water light effect. • Water pump is included. 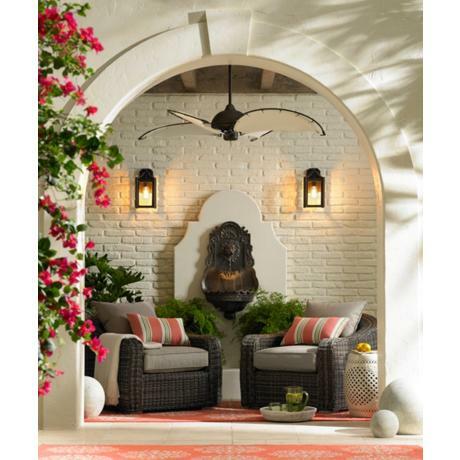 • Includes a 10-watt halogen bulb.